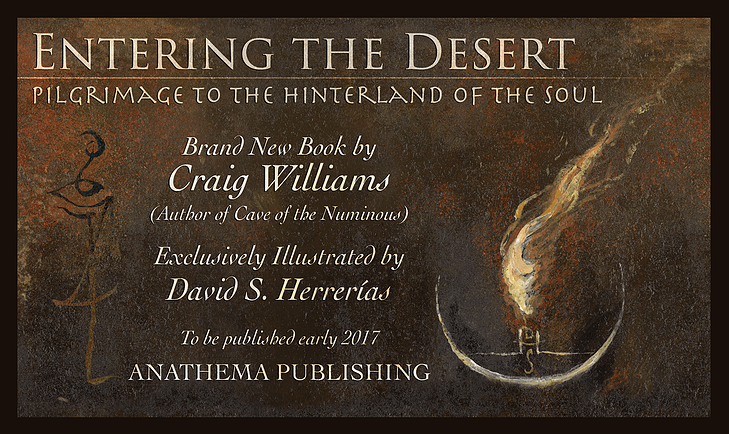 Craig Williams returns to the show in podcast episode 180 to talk about his most recent book Entering the Desert: Pilgrimage to the Hinterland of the Soul, from Anathema Publishing. The landscape of the Soul is a feral hunting ground of shadows and light, each morphing into translucent bodies of nourishment or destruction, depending upon the topographic Vision of the desert dweller. 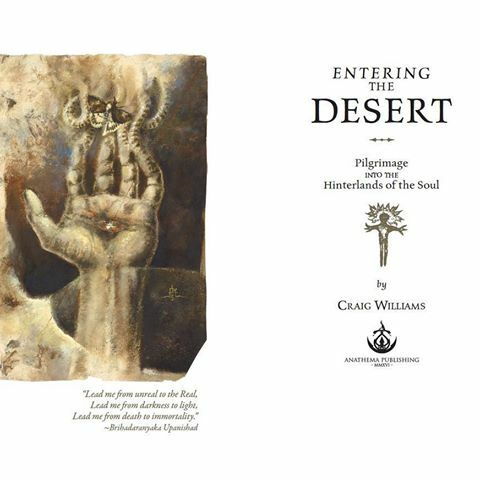 Entering the Desert explores the Terra Incognito of the Soul and reveals a primordial vision of a Pagan Sacramental Gnosticism of alchemical nature which if understood can open up the doorways to the Inner Sanctuary of Sacramental Vision. 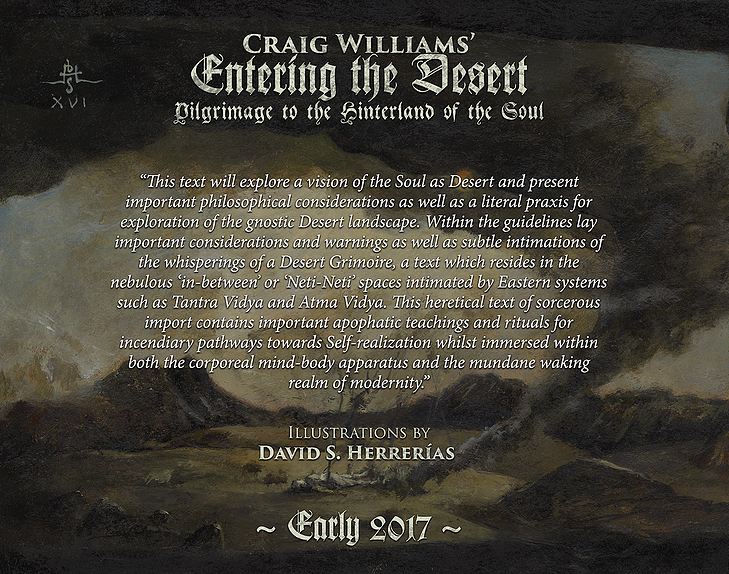 Practitioner of Ayurvedic Medicine, Vedic Sciences, Gnostic Spirituality, and Martial Arts, Craig Williams is also the author of Cave of The Numinous: Tantric Physics vol. I, as well as numerous articles on health, martial arts, and authentic initiation in the Kali Yuga. Craig’s most recent book is a brilliant and terrifying guide to the lonely barren spaces of the soul where we can descend within to realize the self. In the modern landscape of esoteric books, Williams’ work stands out as defying classification, being grounded in practice, and engaging with reality on its own terms. I highly recommend it! I’d like to make an announcement: The Occult of Personality Membership Section is being redesigned and resurrected as The Chamber of Reflection. 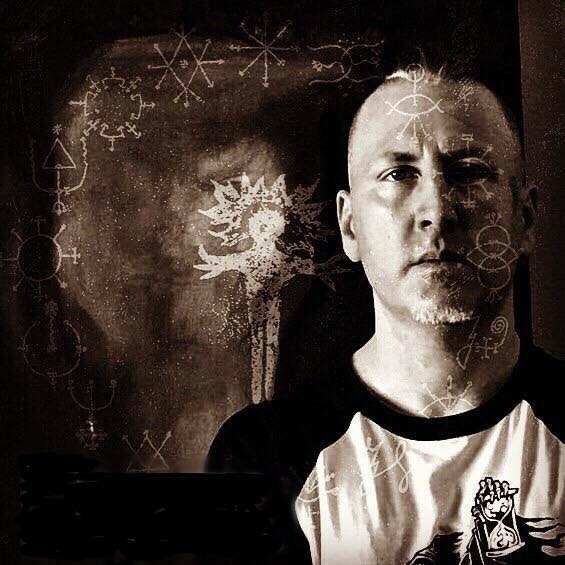 Within the Chamber of Reflection, along with all the content from the Occult of Personality Membership Section, you’ll also find a very fine member’s section interview with Craig about his new book, his perspectives, and much more. Additionally, there’s an interview with artist Joseph Adams who did the artwork featured in the Chamber of Reflection website at https://chamberofreflection.com. I’d like to remind you that although you’re able to listen to this podcast at no charge, the costs to produce it are significant. Your financial contributions ensure the continuity of the free podcast. Please support Occult of Personality podcast by joining the membership section https://chamberofreflection.com or via Patreon at https://patreon.com/occultofpersonality. And if you’re already supporting the show or have done so in the past – my heartfelt thanks and I salute you! 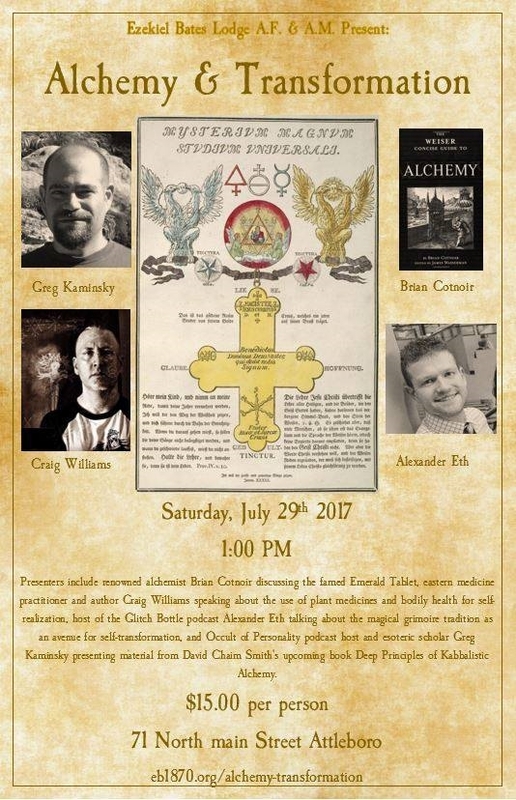 Also, if you enjoy Craig’s work, he’ll be presenting as part of the Alchemy & Transformation event on Saturday, July 29, 2017 at Ezekiel Bates Lodge in Attleboro, MA. Find details at the Ezekiel Bates Lodge website – https://eb1870.org/alchemy-transformation/.